VICTORIA, BC -- The new MACH-Vision™ enclosure is ready for release. In related developments, the I/O capability of the MACH-Vision™ will be expanded to feature 6 input and 6 output models. And to top that off, a non-LCD MACH-Vision™ complete with a setpoint adjust slider will also be released. This visually-impared MACH-Vision™ will require a new name, but its designs are set squarely on markets that do not require a display. According to anonymous sources in the Research and Development department, the next generation of MACH-Vision™ controllers will for the first time in Reliable’s history use relay outputs in place of triacs. 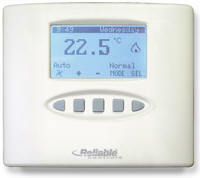 For more information on the MACH-Vision™, please see the controllers section of our website http://www.reliablecontrols.com/products/controllers/. 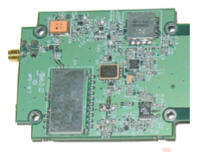 Newtrax Technologies Inc. www.newtraxtech.com developed a WN-100 Wireless Node device for low power, long range and robust multihop wireless mesh network applications. The WN-100 Wireless Node is designed to operate up to several years on batteries, communicate in harsh environments with line-of-sight range up to 500m, monitor onboard or external sensors, and control external actuators. Onboard sensor options include temperature, acceleration, vibration, shock, tilt and light sensors. 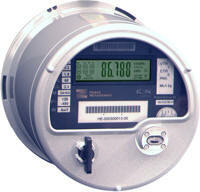 In addition to these multiple benefits, the Newtrax 100% self-contained plug-and-play remote monitoring and control solutions include the additional benefits of a) low costs for configuration, installation and maintenance of both communication and power networks b) monitoring of sensors in dynamic or hazardous environments where wires are not an option c) reduction of system downtimes caused by faulty wire connectors or connections. Newtrax is actively seeking early adopter customers to use beta prototypes of its products. Yudor Technology Co., Ltd. has been in the CCTV field over 10 years. We have a whole series of CCTV products, like DVR, Speed dome, Pan/Tilt Dome, MPEG4 video server, IR dome, IR waterproof camera (for 12pcs LEDs/30pcs LEDs), Vandal Dome camera, bullet camera...... You can visit our website www.yudor.com.tw to get more information about our company and products. Export, PA - American Auto-Matrix is pleased to announce the latest release in the next generation of Smart Building Solutions®: the SBC-GPC family. These Public Unitary Protocol (PUP) controllers have been designed with an emphasis on lowering the overall installed cost of a job while offering a level of flexibility unprecedented in the industry today. Using our innovative STATbus™ technology: a two-wire, polarity in-sensitive, free topology, “smart” I/O networking protocol, a building automation system can be built from the ground up, point-by-point, while also providing single to multiple point expansion capabilities. BUFFALO GROVE, Ill.- Siemens Building Technologies, Inc. has released a new external dual auxiliary switch kit for Siemens OpenAir damper actuators. The switch kit is compatible with and mounts directly to Siemens GCA, GMA, GIB, GBB and GEB OpenAir damper actuator series. The auxiliary switch kit is rated to 250 VAC and includes a ½" NPT conduit connection. In instances when a Siemens damper actuator is already on the job site and auxiliary switch capability becomes required, this functionality is available with one product that fits most OpenAir damper actuator models. When the external switch kit is installed to the actuator/shaft adapter, all actuator functionality, like manual override, is maintained. All OpenAir damper actuator models are offered with optional built-in dual adjustable auxiliary switches. Similar to the built in switches, the external switch kit offers two switches, independently adjustable in 5° increments from 0-90°, and may be wired for NO or NC operation. 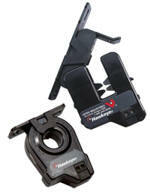 VERSITRON’S new fiber optic video transmission products are ready! Securely link remote video cameras to a monitoring location. Send a video signal over fiber (FVT1000/FVR1000), or send a video and return data signal over fiber (FVT1100/FVR1100). Compatible with NTSC, PAL or SECAM. RS-232, RS-485, and RS-422 data interfaces are supported with distances of 40 km using single mode fiber. ST and SC optical connectors are standard, and a BNC connector provides the copper interface for the video input/output. Available as stand alone or rack mount, these products carry a lifetime warranty. Established in 1958, VERSITRON remains committed to providing exceptional quality and top notch service. 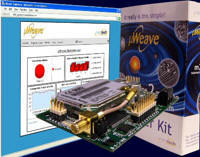 Comtech Holdings Ltd (www.comtechm2m.com), the leading Machine-to-Machine (M2M) Solution Enabler, announce the release of the µWEAVE M2M telemetry system. µWEAVE is an “out of the box” M2M telemetry solution enabling companies to monitor, control and manage their network of remote equipment via the Internet. Consider any type of equipment deployed at remote locations where onsite management or network access is not feasible. µWEAVE enables companies to centrally manage these in order to remove dependencies on the end customer for network access and third parties for manual data collection. The µWEAVE M2M telemetry system comprises of a central web-based management application, remote GSM/GPRS Gateway module and M2M services. It is a generic platform enabling Original Equipment Manufacturer’s (OEM’s) and Value Added Resellers (VAR’s) across diverse markets to build wireless telemetry solutions tailored to their business. µWEAVE is released in conjunction with a service-based business model enabling OEM’s and VAR’s to deliver managed services in their chosen markets. It provides a swift route to delivering business value through reduced costs, increased revenues and an increased customer service. Proof of concept is achieved “out of the box” with system deployment in weeks rather than years. The SL-2000 Series Smoke Detector is the latest innovation for early detection of smoke and products of combustion present in air moving through HVAC ducts in Commercial, Industrial and Residential application. The SL-2000 is designed to prevent the re-circulation of smoke by the air handling systems, fans, and blowers. Complete systems may be shut down in the event of smoke detection. The SL-2000 is designed and built to meet all local requirements, as well as the NFPA regulations regarding duct smoke detectors. Output terminals are provided for remote accessories such as horns, strobes, remote status indicators and test/reset key switches or push buttons. The SL-2000 includes many features that represent true innovations from current generation duct smoke detectors. It is designed and built to meet all local requirements, as well as the NFPA regarding duct smoke detectors. The EL-USB-2 is the world’s first standalone humidity & temperature data logger with direct USB interface. The unit is capable of recording relative humidity from 0 to 100%RH, temperature from -35° to +80°C and calculating dew point. Configuration of the unit is simple. After installing the software supplied with the unit, simply insert the logger into the computer’s USB port and choose the required sampling rate, set high and low alarms for each parameter and set the logger start time. Once configured, the EL-USB-2 can be removed from the computer to log independently. The waterproof plastic casing allows use of the logger in hostile environments if required. Two LEDs indicate when the unit is logging, when an alarm level has been reached, when the battery needs replacing or when the device has reached full memory capacity (32,000 readings). To download data, the user reconnects the unit to the USB port. A graphing utility in the software plots and displays relative humidity, temperature and dew point along with the time and date for each reading. Data can also be imported into many industry standard spreadsheet packages. 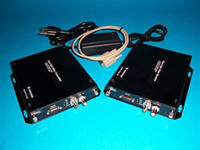 The EL-USB-2 is available immediately from Lascar Electronics. The UltraView™ KTC-XP1 is a high-resolution, wide dynamic camera that uses innovative XPosure™ technology from GE. This technology optimizes the exposure for each pixel, showing details in the shadows and highlights. Every detail can be captured accurately even in the most challenging lighting conditions, making it ideal for high risk applications like ATM locations and business and bank entrances. better than that of the average CCD camera–up to 95 dB during normal operation–while achieving 480 horizontal and 460 vertical TV lines of resolution. And because XPosure samples each pixel several times per frame, it optimizes exposure for each pixel independent of other pixels in the frame. In contrast, a collectively averaged CCD camera will sample an entire array of pixels at the same time, producing images with both underexposed and overexposed pixels. LOVE CONTROLS, a Division of Dwyer Instruments, Inc., Michigan City, Indiana, is proud to introduce the new Series TSX Digital Temperature Switch, which provides cooling control at an affordable price. The microprocessor based units offer 23 programmable parameters for specific application requirements. The user can define set point, hysteresis, probe error performance, and defrosting. Units include password protection to secure from unwanted setting changes. The Series TSX offers unbeatable PTC or NTC thermistor inputs with single or dual relay output. A configuration key can be used to quickly program multiple units with the same settings. The Series TSX Digital Temperature Switch is in stock and ready for immediate delivery. The B6030-BACnet/IP home automation gateway is the latest addition to this company’s Eplus series of BACnet interfaces. The B6030 allows users to connect professional BACnet workstations to wireless products. The system is sold together with the Smarthome Powerline II interface, which supports the second generation extended X10 protocol that includes automatic verification of command actions. All Eplus interfaces communicate via an Ethernet data link, which is compatible with both building automation networks and traditional business IT networks. VICTORIA, BC - Power Measurement introduced the next step in affordable energy management: the socket-based ION® 6300 wireless energy meter. With a low installed cost, exceptional scalability, and accuracy verified to national sub-billing standards (ANSI C12.20 and C12.1), the intelligent ION 6300 meter offers an affordable energy monitoring solution for large commercial properties, including office buildings and retail malls. The ION 6300 socket-mount meter is the newest addition to the Power Measurement line of wireless metering products, joining the company’s ION 6100 wireless panel-mount meter. The meters form a wireless network that automatically reports energy consumption on each tenant space for individual and aggregate billing purposes. Property managers can then use this information to help manage accounts, conserve energy, and recover energy costs. More information is available at http://www.pwrm.com/products/ION6300.